The Catholic Church calls parents, as the first educators of their children in knowledge and faith, to partnership in the mission of Catholic education by continuing their own life-long learning and by supporting the educational opportunities offered for their children. 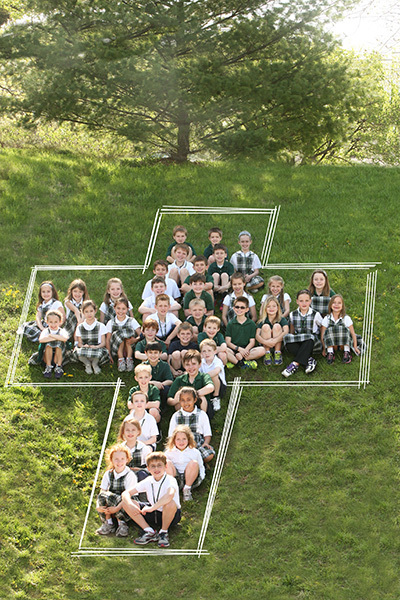 St. Gerard Majella Parish School exists as a Faith Community of priests, teachers, students, parents, and parishioners striving together to sustain and promote quality education for our students which is distinctly Catholic as well as contemporary. We believe education is a growing into that self-knowledge which draws us into God who is the source of our being, calls and leads us into life-giving prayer and worship, and turns us out in love to the whole human family. As a Catholic Educational Community, S.G.M. is dedicated to recognizing the unique God given gifts of each individual. All members of this community strive to create a warm, accepting environment in which each person feels comfortable to grow as an individual and in his relationship with Christ. Because our Christian philosophy recognizes the whole person in its educational efforts, our community aims to promote the spiritual, intellectual, emotional, social, physical, moral, and cultural development of each individual. It is our desire to encourage each member of S.G.M. to become personally responsible to God, self, family and community. That fosters acceptance and concern for each child as an individual learner. Where learning and academic excellence are greatly valued (to improve and maintain standards of academic excellence in all areas of intellectual development). Which encourages and challenges students to accept, now and in the future, responsibility and accountability in their actions. That allows time to reflect, to observe and to experience, while at the same time challenges each person to reach his/her full potential. That provides opportunities for each individual member to discover and share his/her unique gift as a child of God as well as to accept the gifts of others. That daily frees the spirit to be operative in each person, the events of their lives and the structure of our community. In line with these goals and objectives, the school is educationally and developmentally divided into three sections: Primary (K-2), Intermediate (3-5) and Middle School (6-8). These levels allow us to provide the students with religious, academic, and social experiences that reflect the goals and objectives of our philosophy in an age-appropriate manner.